Climbing is an amazing sport for people of all abilities. Adaptive climbing has seen some amazing progress in recent years. Climbing is an amazing sport. Full stop. 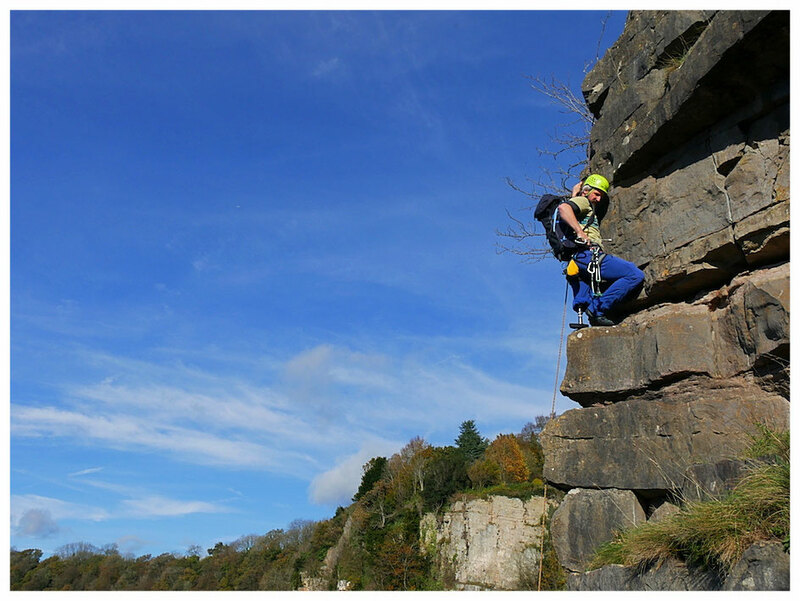 No matter if you are into bouldering or top-roped routes at a local climbing wall, prefer pre-bolted sport routes outdoors or love the thrill of proper multi-pitch trad climbing or a deep-water solo, the sport has something for everybody. And I mean everybody, no matter if you are able-bodied (what ever that is) or not. I regularly get questions on a multitude of issues relating to climbing. It seems there is a growing interest in the sport, also from the amputee community. At the same time I hear that many of you, while generally eager to give it a try, hesitate to make the first step. Some mentioned that they find it hard to see themselves actually being able to climb as an amputee. So here is a simple guide: Ten easy steps to get into paraclimbing. It’s aimed at lover limb amputees, especially above knee amputees. I will see that over the summer I also publish something for people with different needs; e.g. below knee amputees and people with upper limb differences. But before we start, let me mention a few things. First and foremost, I am not a certified climbing instructor. I do not have the proper training to give you professional advice. The ten steps in this guide are based on my personal experience and on the experience of people I personally know. They are not a substitute to getting professional advice and hiring a well-trained and certified instructor. In addition, I would like to point out that climbing involves certain risks. And here I would like to point to the statement from the British Mountaineering Council: „The BMC recognises that climbing and mountaineering are activities with a danger of personal injury or death. Participants in these activities should be aware of and accept these risks and be responsible for their own actions.“ You find additional relevant information about risks and safety on the homepage of the British Mountaineering Council. Please make sure you are fully aware of the risks before you start climbing. Good! Now let’s start and get practical. 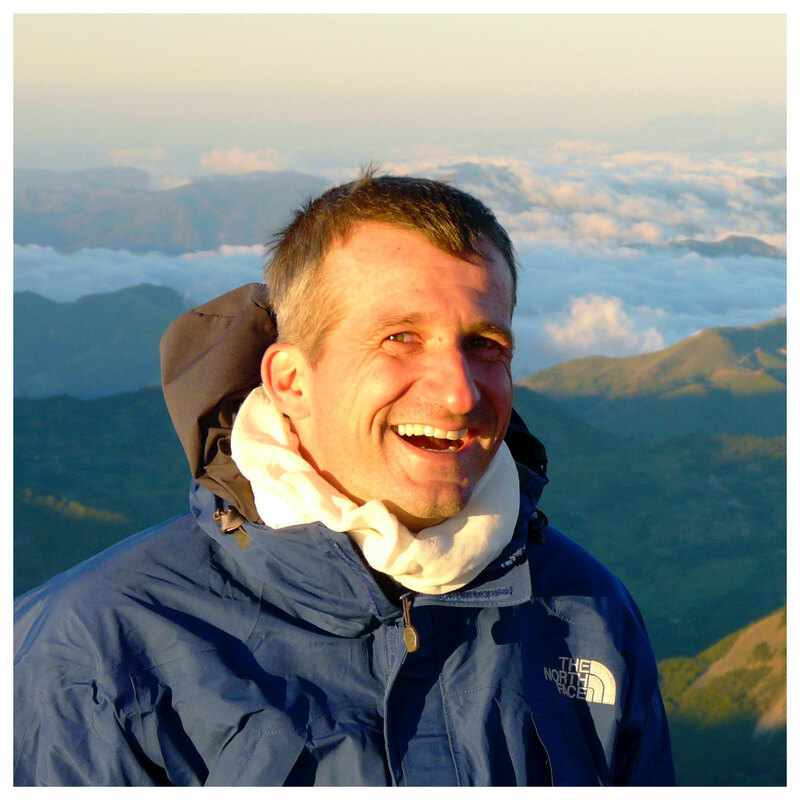 The first question for above-knee amputees is whether to climb with or without a prosthesis. And while modern microprocessor knees and increasingly sophisticated feet might soon be a game changer, I think it’s best to start without a prosthesis. The additional weight, the difficulties in placing the prosthesis properly, the fact that most feet do not allow you to put weight on the toes without the whole set-up collapsing under you make this an easy decision top start with. At least it was for me. Try with and without your prosthesis and see what works best for you. Depending on your residual limb, you need to decide whether you need some sort of padding/cushioning or protection for your stump or not. If you have an old liner, great! Wear it. If you don’t have one, no worries. Just use any old pair of comfy trousers and some tape to build up a bit of padding. This option is not very stylish, but it does the job. Many people I know actually prefer not to add any padding at all. But that obviously depends on your very own situation and how sensitive your stump is. Just try out what works best for you. There is no need for a special climbing foot or so in the beginning. At least not until you are sure you will actually climb regularly and are willing to invest in your own gear. I will get to special climbing prostheses later on. Find a coach and instructor you feel comfortable with and who is willing to change his or her usual approach to meet your needs and - potentially - anxieties. If you have an experienced climber among your friends, someone you trust, someone who helps you make the first move - great. That is often a great way of making the first move. If not, just call your local climbing wall or the local chapter of the mountain club etc. and explain your situation and that you are looking for a coach. In recent years more and more climbing walls and clubs have been exposed to the need of adaptive climbers. So many are trying their level best to increase in-house capacities to offer introductions to climbers with special needs. Do not worry about just having one leg. That’s just the way it is and there is nothing you can do about it (obviously). As you are learning this sport anew, you will automatically develop your very own style. You will learn from your instructor/coach, you might learn from watching other amputees, you might get good tips from other climbers around you, but in the end you will find your very own way. In the beginning the temptation is huge to compensate the missing lower limb through using the strength of your arms; especially for the blokes among you. And especially in the beginning when you are likely to climb in the lower grades; e.g. 4-6. It might actually work for some time. But while some general fitness in your upper body is essential and a pair of strong arms is of benefit, I strongly advice you to develop your footwork right from the beginning. Focus on slow, precise, almost silent foot placement. Not despite only having one leg but because you only have one leg. The muscles in your leg are so much more powerful than your arms will ever be. Learning how to use this power and apply it to different climbing settings is key to feeling confident and moving up through the grades. It might make initial progress a bit slower, but it’s the foundation to becoming a good and confident climber. Trust me! This one goes hand in hand with the previous one. As I said: Focussing on proper footwork is the base of all your climbing. As is a good technique. Make sure you learn your moves the right way from the very beginning. Make sure this becomes second nature. This will not only make you a confident climber but it will also help you to prevent injuries. Especially injuries in your remaining leg. Putting in the effort in the beginning is a good investment. Much easier to learn it properly from the start than to un-learning a bad technique later on before being able to re-learn the moves properly. Even if you follow these steps, chances are high you will use your arms much more than two-legged climbers. Especially when bringing up the remaining leg without having the chance to shift all your weight on the other/the residual limb. As a consequence you will need to find ways that make climbing as easy for your arms as possible. You will need to find ways to rest your arms in between your various moves and while on the wall. One of the easiest and most effective ways is to climb on straight arms when ever possible. Give it a try. Take an easy route and climb it, making it a point to be on a straight arm when ever possible. Then climb the same route with bent arms. Notice the difference and how quickly you get exhausted? In addition to focussing on your technique, think about slowly building up strength in your fingers, your arms and shoulders. And the focus here is on slowly and systematically. Especially our fingers are prone to injuries - and they can take ages to heal. I strongly advice you to get professional advice from an experienced coach beforehand. There is lot of training advice out there and people have different approaches on getting better. Complementary training with weights, a fingerboard, a balancing board and who knows what. And while I think there is value in most of these complementary activities, I am convinced that the key to becoming a better and stronger climber is to actually climb. That you climb often. That you climb regularly. That you climb in different venues, using different styles, testing different settings and see what you enjoy most.